Info: Copacabana Beach is known for its 4 km (2.5 miles) Balneario beach, which is one of the most famous in the world. Info: Ipanema is an affluent neighborhood located in the South Zone of the city of Rio de Janeiro (Brazil), between Leblon and Arpoador. The beach at Ipanema became widely known by the song "The Girl from Ipanema" ("Garota de Ipanema"), written by Ant�nio Carlos Jobim and Vin�cius de Moraes. Info: Leblon is the most affluent neighborhood in Rio de Janeiro, Brazil. Neighboring Ipanema is regarded as the second most affluent area in Rio de Janeiro. It is also the name of the local beach. The neighborhood is located in the south zone of the city, between Lagoa Rodrigo de Freitas, Morro Dois Irm�os and the Jardim de Al� channel, bordering the G�vea, Ipanema, Lagoa, and Vidigal neighborhoods. It is regarded as having the most expensive price per residential square meter in Latin America. Info: Botafogo is a mostly upper middle class and small commerce community, and is located between the hills of Mundo Novo, Dona Marta (which separates it from Laranjeiras) and S�o Jo�o (which separates it from Copacabana). Info: Arpoador is a region located on the southern zone of the city Rio de Janeiro, in a small peninsula between Ipanema and Copacabana. 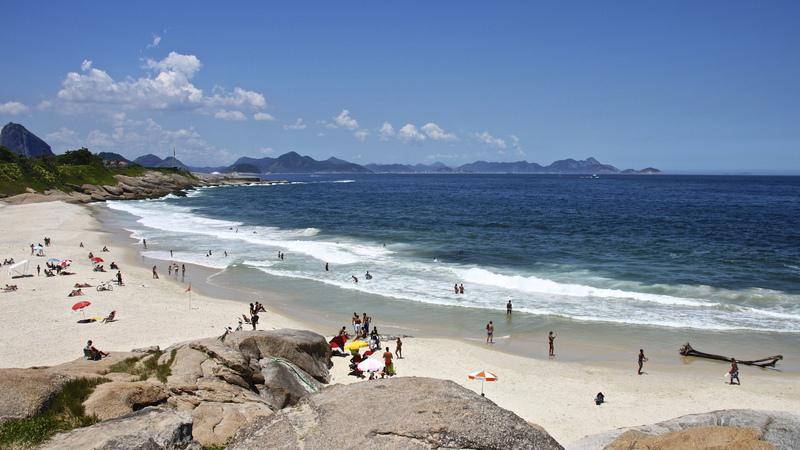 Part of its territory belongs to the neighborhood of Ipanema, and part to Copacabana. Arpoador is considered one of the best metropolitan surf spots in Rio de Janeiro. During some time around midsummer it is possible to see the sun setting over the sea from Arpoador, a rare event on the generally eastward-facing Brazilian coast. >> Next List: What are the 10 tallest buildings in the world right now?